The Kidney Project is a team of doctors and engineers developing a bioartificial kidney as a permanent solution to end-stage renal disease. Over 400,000 Americans have end-stage kidney disease, and that number has been steadily growing by about 5-8% each year over the last twenty-five years. About 100,000 new patients develop permanent kidney failure each year, and almost as many die. The best treatment for kidney failure is a new kidney; indeed, renal transplant confers the best outcomes and the lowest overall cost of any treatment for kidney failure. Sadly, however, this best treatment is only available to a small minority of patients. Donor organs are in such short supply that only about 20,000 kidney transplants are performed each year. The goal of The Kidney Project is an implantable device that will make the benefits of transplant available to every patient. Kidneys perform about a dozen critical functions to keep a patient healthy, so it's no surprise that patients with kidney failure suffer. Almost all kidney functions are either filtering or reabsorbing activity. Our team pioneered a biomimetic membrane using silicon nanotechnology to copy the healthy kidney's filters: the first truly new membrane for renal failure in many years. This new high-tech membrane is so efficient that that the artificial kidney can be much smaller than a dialysis cartridge, and doesn't need the heavy electrical pumps of a dialysis machine: it uses the patient's own heart and blood pressure to filter blood. These membranes are a key enabling technology for The Kidney Project. The kidneys reabsorb almost all of what they filter, except the toxins that your body excretes in the urine. It's a long list: salts, water, amino acids, and sugars. We use nature's regenerative powers to culture kidney cells in a bioreactor to do the reabsorption. Your kidneys' cells know what to do, and so do the cells in The Kidney Project bioreactor. Where do the cells come from? Many kidneys are offered for donation each year that can't be used because they are too scarred or have problems with their blood vessels. We take the living cells from those kidneys and grow them in the laboratory. The Kidney Project is a multicenter interdisciplinary effort involving doctors, scientists, and engineers from a dozen universities and companies around the United States. 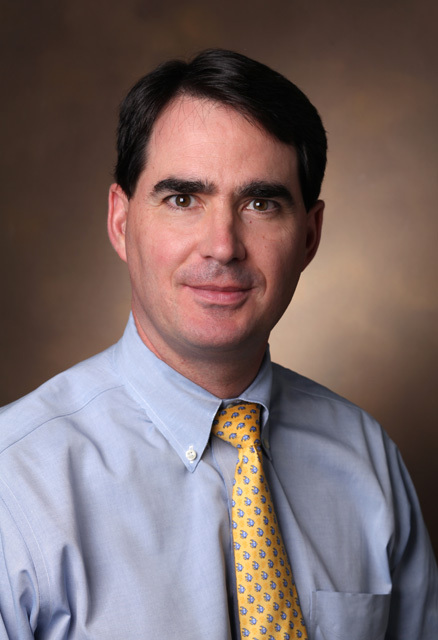 William H. Fissell, MD is the medical lead on The Kidney Project. Dr. Fissell graduated from the Massachusetts Institute of Technology with dual degrees in Physics and Electrical Engineering. As an undergraduate, Dr. Fissell worked in MIT's Center for Space Research developing the spectrometers that are the core of NASA's Chandra Observatory. Years later, in his Internal Medicine Residency after medical school at Case Western Reserve University, Dr. Fissell was struck by the similarity between the filtration structures of the kidney and the structures that form Chandra's High Energy Transmission Grating and wondered if nanotechnology could be harnessed to build a biomimetic filtration membrane to improve kidney dialysis. Dr. Fissell went on to complete his nephrology fellowship at University of Michigan under Dr. H. David Humes, inventor of the Renal Assist Device, the world's first true bioartificial kidney. Before joining Vanderbilt University in 2012, Dr. Fissell directed the Renal Nanotechnology Laboratory at Cleveland Clinic. Shuvo Roy, PhD is the technical lead on The Kidney Project. Dr. Roy is a bioengineer whose research is dedicated to the development of biomedical devices to address unmet clinical needs.His research is under way at the University of California, San Francisco where he is an associate professor in the Department of Bioengineering and Therapeutic Sciences (BTS), a joint department of the UCSF Schools of Pharmacy and Medicine, and director of theUCSF Biomedical Microdevices Laboratory. He holds the HarryWm. and Diana V. Hind Distinguished Professorship in Pharmaceutical Sciences II in the UCSF School of Pharmacy. Before joining the BTS department in 2008, Roy co-directed the BioMEMS Laboratory in theDepartment of Biomedical Engineering at Cleveland Clinic in Cleveland, Ohio.